The FLIR E5 features an IR Pixel Resolution of 120×90 (double the E4), Thermal Sensitivity Range <0.10°C, and a 4 hour interchangeable battery. The new FLIR E-Series cameras are handy for quick equipment scans and safety checks. 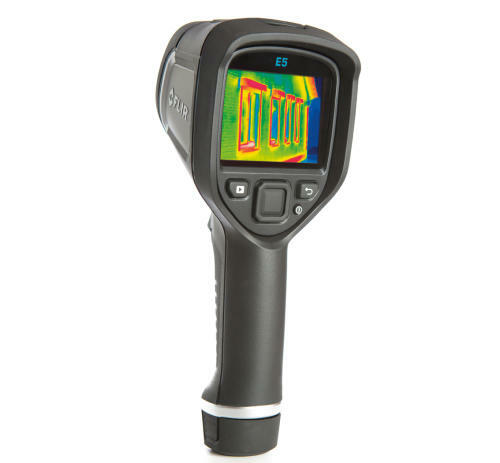 These easy to use Thermal Imagers offer everything you need for on-the-spot thermal inspections. These invaluable tools can help you clearly see and find hidden electrical and mechanical/building problems from turning into serious, expensive trouble.